The family’s commitment to innovation has helped the company transform from a small fabric house to a global leader, representing brands and designers from all over the world. 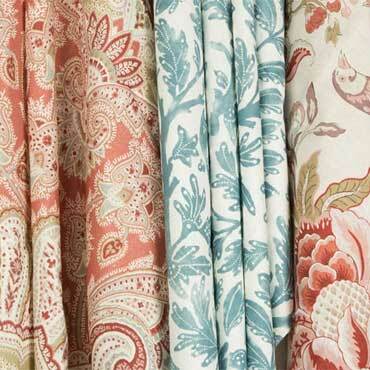 The "creme de la creme" of our product line is focused within the kravetcouture brand. This luxurious selection of fabrics is steeped in traditional styling with fabrics ranging from luxurious silks to beautiful matelasses, linen velvets, sumptuous chenilles and extraordinary damasks. These exclusive patterns are classic and reminiscent of the haute couture fashion houses including Chanel, Valentino and St. Laurent. Color is the key to our fashion forward and cutting edge fabrics that make up the majority of this collection. Our licensed collections from designers such as Larry Laslo, Joseph Abboud, Alexa Hampton, Echo Home as well as the historical landmark collections such as the Biltmore Estate, Museum of New Mexico and The Palace of Versailles offer our customers a variety of styles and designs that complement the home decor trends and tastes of today. This collection of fabrics is not "basic" by any sense of the imagination. It is a complete product line consisting of a variety of fabrics from wovens to prints including soft, textural chenilles, tea-stained prints and a broad range of multi-purpose fabrics, that can help create decorating styles and ideas for a wide variety of today's tastes and homes. kravetcontract focuses on the growing commercial, healthcare and hospitality industries. It offers a diverse range of woven products and heat transfer prints that satisfy the requirements of industry standards and are performance driven. Our sales force and customer service departments specialize in meeting the needs and challenges of this competitive market.